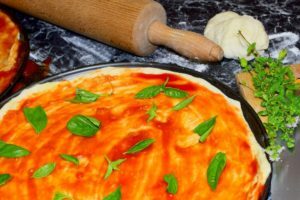 Obviously, the best pizza sauce is homemade pizza sauce, but it takes a while to make a good sauce, and sometimes you just want to throw a pizza together in a hurry. So, what do you do? You reach for the nearest bottle of store-bought pizza sauce. 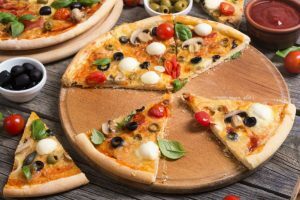 Now, if you are a pizza lover at all, you aren’t going to have just any old sauce in your cupboard. But, there aren’t a lot of sauces out there that are made specifically for pizza. Which sauce do you use? Well, any of the pasta sauce that is labeled as marinara is usually what is used for pizza. 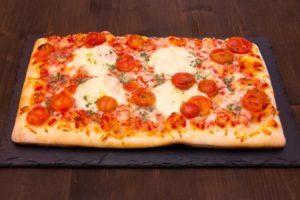 If the best pizzerias around use marinara sauce, there is no reason why you can’t do so yourself. You just have to find the best sauce to suit your own particular tastes. Today we are going to take a look at some of the best store-bought pizza sauce and give you an idea of how they taste. One particular sauce that is just for pizza is the stuff you get with pizza mixes, such as Kraft pizza mixes. This sauce has a little bit of everything, from a touch of tanginess to a bit of sweetness to a bit of spice. It is just the right blend. If you get it in the kit, there is usually a packet of seasoning, so you can add just the right amount for your taste. You can also buy the sauce separately, but there is no spice packet with it. The spices are already mixed in, so you can’t do much with it unless you want to add other seasonings. This is one of the less-expensive pizza sauces you can get, but it is one of the tastiest, so you are getting quality sauce at a good price. This may be marketed as a pasta sauce, but as we already mentioned, marinara sauce is what is typically used for pizza. We love this sauce, because it has a bit of depth. There are some delicious seasoned undertones in the flavor, although the color of the sauce may turn some people off, since it is a bright orange-red in color. But, if you can get past the color, you will likely enjoy this delicious sauce that is named after celebrity chef Mario Batali. It even tastes like it has been slow cooked for several hours and the seasonings have really had a chance to sink in. 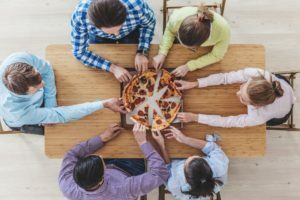 For many families, Hunts is the go-to brand for just about anything tomato, including marinara sauce. 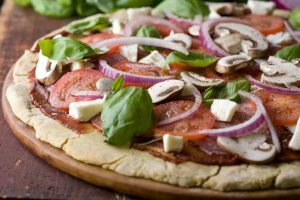 Hunts is a very popular brand to use as a pizza sauce because the flavor is just right, and doesn’t overpower the flavors of the various toppings you use on your pizzas. This is a smooth, dark colored sauce that has a bold tomato flavor, with just the right amount of herbs and spices. What is interesting is that this sauce contains carrots, but you really can’t taste them. They just help to add to the overall healthiness of a sauce that is made with real vegetables. If you find it to have a bit of an over-processed flavor, just add some tomato paste or crushed tomatoes to give it more of a tomato flavor. If you like Hunts Tomato Sauce, you will probably enjoy this one. It is a nice, bright, deep red shade, giving the impression that it is actually made with real, healthy tomatoes. It is nice and thick, kind of like a mixture of ketchup and tomato paste, with just the right amount of seasoning. We like this for pizza because it is thick. 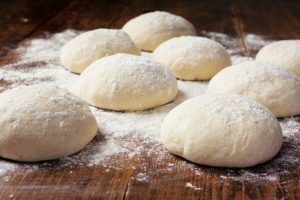 It is going to spread nicely over the dough, and you won’t have a lot of white spots due to areas where the sauce won’t completely cover the dough. 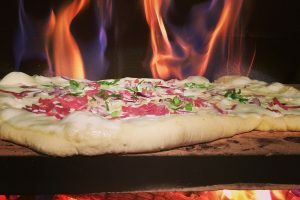 Of course, if you like your pizza sauce a bit spicier, there is absolutely nothing stopping you from doctoring this or any other sauce with a few of your favorite seasonings. Another popular store-bought marinara sauce is Ragu Traditional Sauce. This is an orange-red color, and has a bit of a sweet flavor. If you don’t like the sweetness, you can always tone it down a bit by adding a cup or so of crushed tomatoes, and of course, some extra seasoning. But, once you have all of your other pizza toppings in place, you probably won’t notice the sweetness. 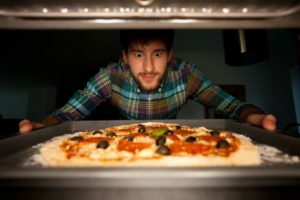 In fact, it will add to the flavor of your pizza, especially if you are using pineapple as one of the toppings. It seems to blend perfectly with the flavor of the pineapple, for a really delicious Hawaiian pizza (which, by the way, was invented in Canada). 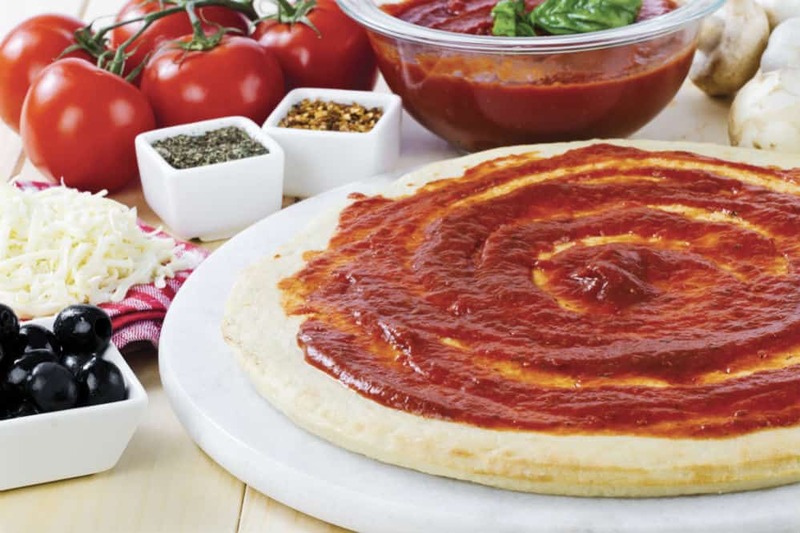 One of our favorite go-to sauces for pizza is Prego Traditional Italian Sauce. It can be used for pizzas, and just about any pasta dish that requires marinara sauce. This is a smooth, sweet-tasting sauce that is a nice, bright red color. 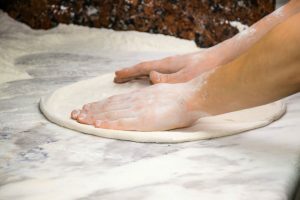 It isn’t quite as thick as we would prefer though, so we usually add a bit of tomato paste to thicken it up and make it spread over the dough better. This sauce may be a bit on the sweet side for some, but that can be fixed by adding a few extra seasonings, such as garlic and black pepper. Again, this is a sauce that is marketed for pasta dishes, but it is perfect for pizza too. The labeling is a bit confusing though. It says, “industrial strength,” which would lead most to believe that it is super spicy, when in fact it has more of a sweet flavor. It does have an herbal flavor as well, almost on the floral side, and it is another sauce that is great for Hawaiian pizza. It has a bit of a tomato paste flavor as well, so you really get to enjoy the tomato flavor.